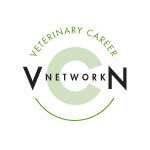 Animal Medical Care is seeking a Food Animal Veterinarian Or a Mixed Animal Practice Veterinarian with emphasis on Cow-Calf/Feed lot Cattle Production and an interest in Dairy Herd Production medicine. Applicant should be willing to cover one fourth of emergency rotation in a mixed practice. We are ideally looking for an experience individual wanting to develop our food animal practice in areas such as ET, Ultrasound, and Dairy Production, but new graduates with food animal interest should apply. We will mentor their development. Our practice has a new 8,000 sq ft physical plant that is well equipped with modern technology and has a large dispensing inventory. Our practice services over 25 cow-calf operations with several small feedlots. In addition, the area has over a dozen dairies with more that 1,200 head, as well as several smaller operations. We are located in Brookings, SD, a community of 23,773, and located in eastern South Dakota along Interstate 29, just one hour north of the state’s largest city- Sioux Falls. Brookings has a safe, family-friendly, vibrant, feel. Residents enjoy the tree-lined streets, leisurely pace of living, a short commute time and a variety of career opportunities in a growing job market. Division 1 South Dakota State University creates a youthful and energetic atmosphere and provides residents with a multitude of athletic, cultural, educational and recreational activities. The top ranked Brookings School District offers small classroom sizes and highly qualified, experienced teachers. The city boasts an abundance of attractions and activities such as the Children’s Museum of SD, Dakota Nature park, SD Art Downtown @ Sundown, and the Brookings Summer Arts Festival. Brookings is consistently ranked as a top place to live. Recent accolades include: #1 Best Place to live in SD, #25 Best City for Entrepreneurs, #2 Best School District in SD, Top 10 Best Small Towns in America, Safest College Town in America, and the Top 25 Safest Cities in America. Salary will be competitive, with benefits. We are looking for the right person to help us expand our practice in food animal/dairy practice. Contact Dr. Roger Genetzky if interested at (605)690-0601 or send resume to rmg1616@gmail.com. You may review our webpage: animalmedicalcare.weebly.com. We would like to setup Skype interviews with interested individuals. Hiring? Looking for a job? Selling a practice or clinic equipment? Our classifieds give you access to a network of South Dakotan veterinarians.